City Councilman David Alvarez announced Sunday his campaign has already raised $108,000 for his bid to succeed County Supervisor Greg Cox in District 1 in 2020. Cox will be termed out in 2020 after his sixth term representing the South Bay, while Alvarez will be termed out in 2018 at the end of his second term on the City Council. 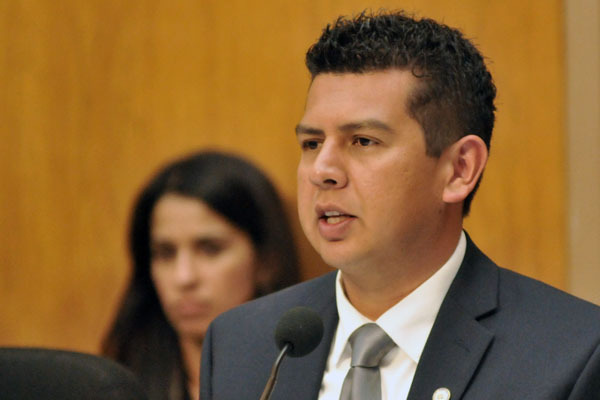 He is the only announced candidate in the district, which includes Coronado, Imperial Beach, south San Diego, National City, Chula Vista and unincorporated areas to the east. Alvarez grew up in Barrio Logan and graduated from San Diego State University. He was the first in his family to graduate from high school and college. He began his political career as a community liaison for then State Sen. Denise Ducheny. In 2014 he ran for mayor in the special election to replace disgraced Mayor Bob Filner.